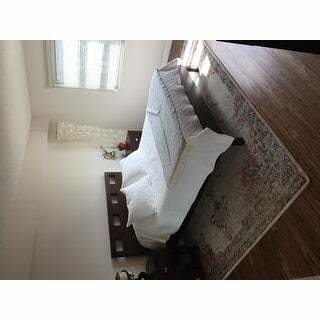 This beautiful rug immediately brings a touch of elegance once it’s rolled out into the space. The colors are muted yet still rich and adds a feminine warmth without being childish or girly. In fact, the first two people who complimented this rug were both men. It’s plenty soft underfoot and you can practically sleep on it. Adding a thick felt rug pad would create next level plushness. I’ve purchased several nuLoom rugs over the years for myself and friends and have found them to be durable and great quality. 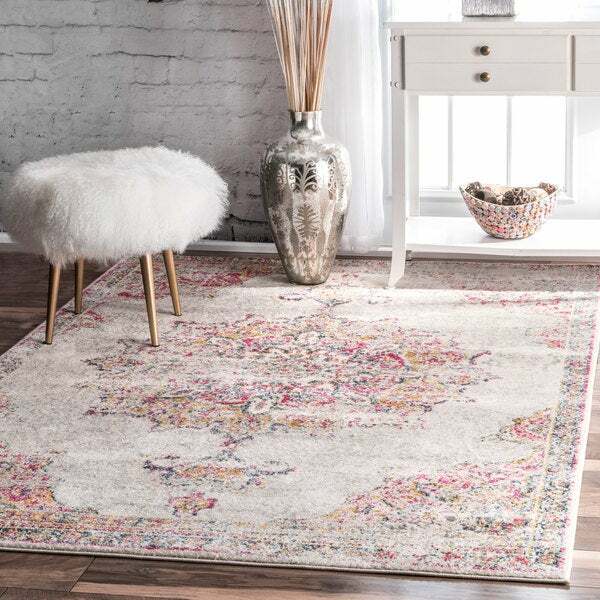 Create a colorful, bohemian look with this vintage-inspired area rug from nuLOOM. The polypropylene pile features an ivory backdrop and a classic medallion pattern that will complement a variety of decor. Choose from two color schemes and a variety of size options to suit your decorating needs. Dimensions 108.0 In. X 11.0 In. X 11.0 In. I am loving everything about this rug. It's a great color. Not overly feminine, but just the right amount of pink. There is also grey, gold, navy blue, and a medium blue. It looks great with my dark leather couch. The rug itself is low pile, but very soft. It vacuums really nicely, too. I am extremely happy with this purchase! 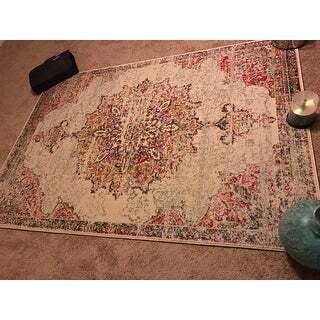 I really love this rug; I bought it for my living room 10x14 and I plan to buy again this brand. I am very impressed by overall look and quality. Colors are very nice, elegant; pad is not needed. It was nice wrapped, ends were nice protected, it was even vacuumed and arrived clean and very quickly. 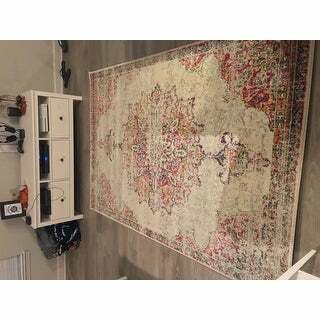 For sure I will recommend the nuLOOM Vintage Persian Medallion rug and Overstock to family, friends, and everyone. Thanks! We wanted a rug under our table to protect the hardwood floors and give just a little color to the room. 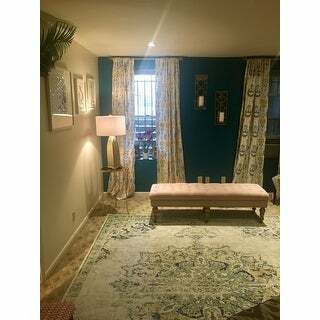 The rug has beautiful muted colors (gold, pink, navy and gray) on a cream back ground. The rug has an old look with a new soft rug feel. We ordered the 8X10 size and a 1/2 inch rug pad. Highly recommend the rug pad to give an even more plush feel. The rug dimensions are accurate. This rug is just what I was looking for! Super in love with it! Has a great variety of colors in it: yellow, gray, navy blue, aqua blue, cream, and light blue. Not a thick pile rug but that is not what this style of rug is anyways. 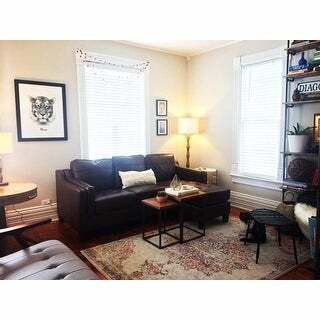 Overall super happy with the style (distressed look) of this rug and how it added just what my living room needed. Really love the area rug, however, I was unsure how it would complement my decor I ordered a smaller size rug. I will probably order a larger rug in the near future. I would recommend this area rug to others. The picture does little justice. Hello, The area rug I purchased recently is a real treasure. It is exactly what I expected. Very true to picture. That is why I ordered two more rug runners of the same pink color to match to the area rug. It arrived on time. 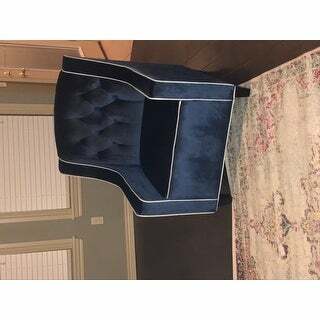 Thank you Overstock fot your fast delivery. 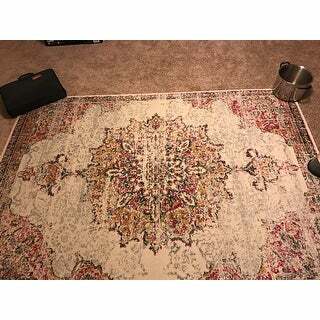 I bought this rug to use under a glass top dining table. It's beautiful and the colors are a very muted blue (aqua blue), some yellow and gray tones on a cream background. The colors in our home are aqua, gold/yellow and gray so the rugs colors work great. You can see the medallion through the glass top table. It arrived in good shape and lay flat in a matter of a couple of days. I would recommend it. I bought this rug because I wanted something under my bed to protect my floors. I got the 8x10 for under my queen size bed, I think if I did it again I would have gotten a size bigger. 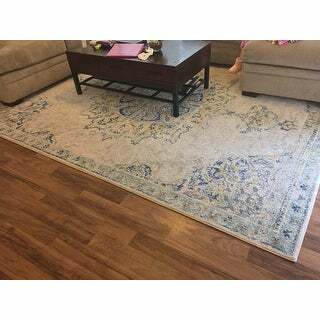 I like that it has beautiful bright colors in it but it's not too overwhelming, the rug is a good thickness but not as soft as some other rugs I've purchased. Over all I'm happy with the look and quality. Very Soft with no scent. Arrived fully and securely wrapped and without any hassle to remove from the plastic. I will be purchasing the rest of my rugs for my place from this brand nuLOOM. I like the quality and prices. 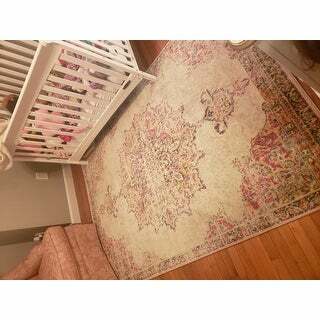 This rug is absolutely perfect! It's actually prettier in person than in the photos. The colors are vibrant but not overwhelming and it adds life to any room. I had planned to put it in my living room for the coffee table on top of it but I'm actually moving it to my office where I can showcase it as a focal point in the room. Highly recommend it. Adds so much to a room! The color is NOTHING like the photo online. The “pink” is really a very bold magenta!!! Didn’t work at all with my color scheme. Returned it and was charged a shipping fee and the original discount of $93.30 was taken out of my refund!!! Who ever heard of that scam. What a rip off!!! Run from this rug and this horrible company!!! I bought this rug for an extra bedroom. The colors are bright and cheerful - vibrant pink but not too "girly". I also have this rug (different size) in orange in my kitchen and love that one too. Beautiful rug. I love the design in the rug and the many colors that I can pull from. 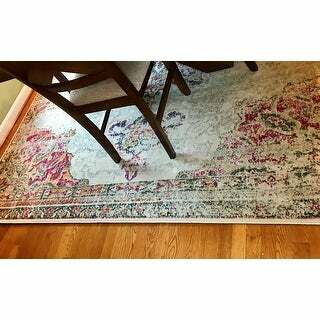 I'm going with a French country theme and this rug is perfect that that. Very soft under foot and it doesn't need a rug pad in my opinion. I would recommend a nonslip pad if using on hardwood or tile. This rug is almost exactly as pictured. I love that the colors/pattern are slightly faded. It's not too feminine but adds a really nice touch. Gorgeous rug that added just the right amount of color to my previously dull living room! This rug is so soft and I love walking on it! Really brings the room together for a subtle feminine look. 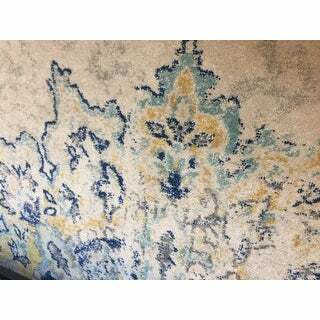 Love this beautiful rug! It is just as pretty as shown online. 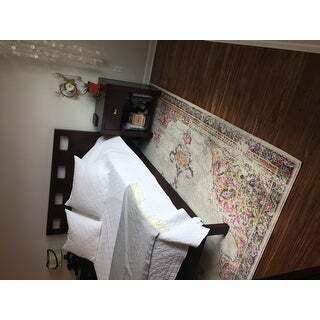 It is of very nuce quality material. The rug is extremely easy to clean. 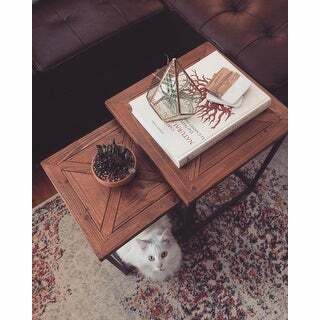 This rug is very pretty. I put it in my nursery. It's a rug that she can use as she's older as well, in my opinion. Feminine and nice soft colors. I have had so many compliments on this rug! "What is the difference between multi and pink? When I click on each the picture is the same." The pink is the Ivory background with pink details and the multi is the blue background with pink details. "Hi. There are 5 colors listed as choices (pink, blue, orange, gray and multi) but there are only 2 shown in the pictures. There are pictures of a blue and yellow rug and pictures of what I assume is the multicolor rug. I want to order the one from the picture that is multicolor. Which choice is that? 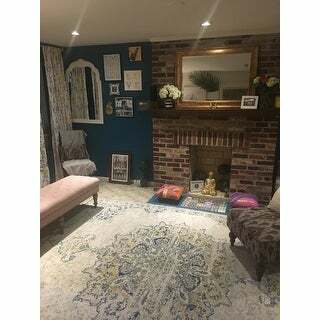 Thanks"
The images showing yellow with punk fascia detailed rug is the color option pink. "Is this rug pink or is it red? 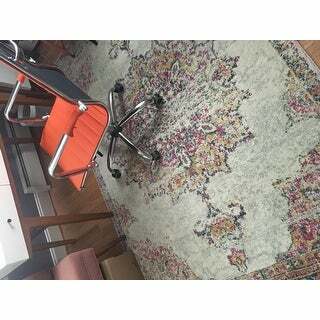 It appears to have red color but not sure if it’s the monitor "
"Would you consider this rug to be soft? " Yes, this item has a soft texture. "Is this rug cut pile, or loop pile?" This is a pile rug. "do you think it will match my silver sofa and dark purple arm chairs?" Yes, there is neutral tones, grey, touch of pink. I think the purple side chairs will look awesome with it! This is an indoor rug.